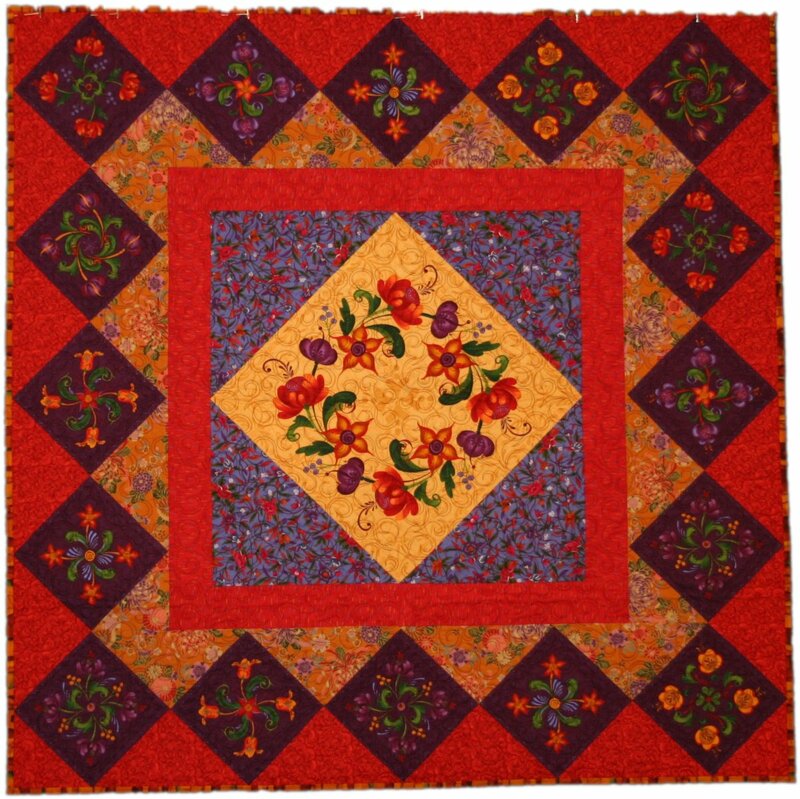 A go with the flow quilt. 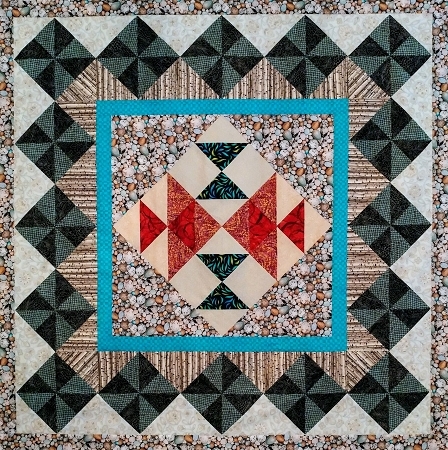 You have full flexibility to make this medallion quilt your own. If you want bigger, go for it. 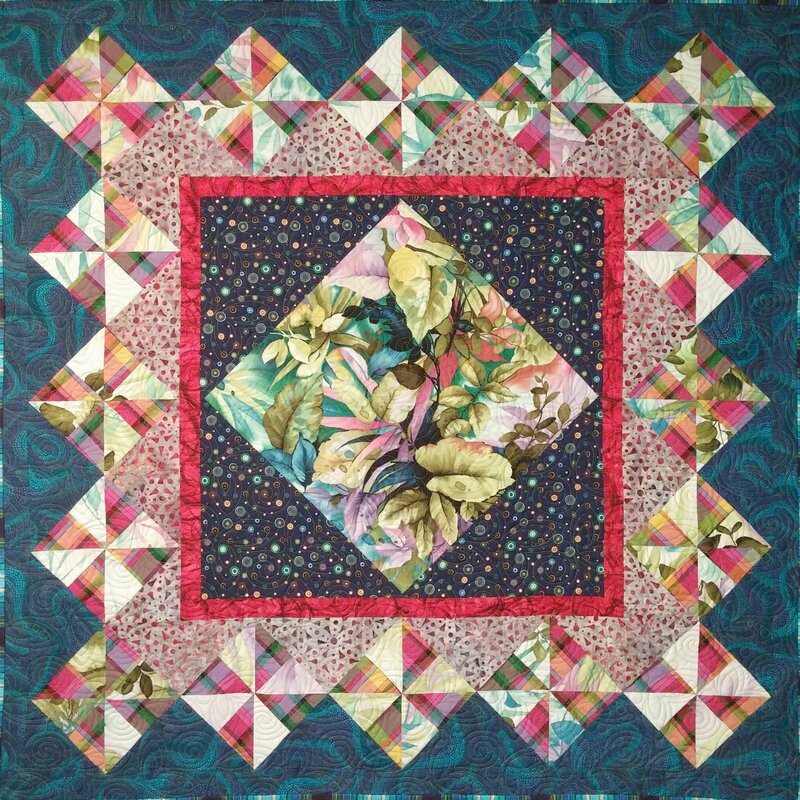 If you want a rectangle, take a deep breath and go for it. Going off the reservation is fine with me, HOWEVER all the new math calculations are on you. Special tool needed: Angle Trim Tool.